Description: Collection of Tablets and prayers of Bahá’u’lláh. Zaynu’l-Muqarrabín notes at the end that this is the third copy of this compilation that he has made. As noted on p. 1, the copy that was taken of this manuscript is badly faded in some places. Attempts have been made to re-inscribe some of the faded words. The scan has been made at a darker setting than with other scans in this series. Includes Lawh-i Huriyyih (p. 1), prayers for the Fast (pp. 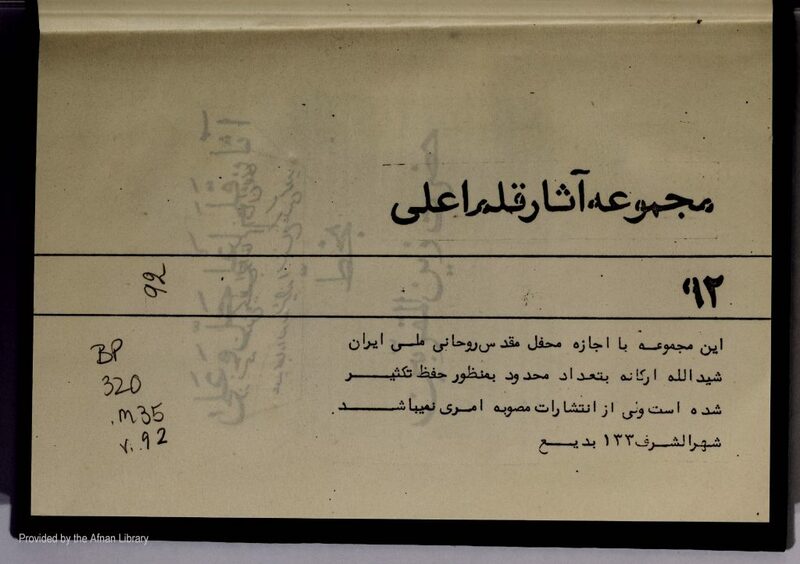 278, 284), Lawh-i Laylatu’l-Quds (p. 298). 298 pp. of ms. (408 pp. of PDF).